The internet has taken the diamond buying market by storm. Online retailers, however, overwhelm online consumers with a myriad of options that seem to follow you everywhere you go online. Yet diamonds, marveled for their brilliance, lack a certain transparency in value when bought online. It is easy to do, yes, but only if one is willing to sacrifice an understanding beyond the simple facets of a gem, such as the color or carat. A New York City’s Couple’s Choice Award winner in 2018, I.D. Jewelry, is innovating solutions to help consumers navigate this digital maze. Although located in the heart of the diamond district in New York City, I.D. was truly bred in this online space. Evidence of this can be witnessed simply through I.D.’s consistent social media interactions. Yet, most importantly, I.D. strips away the anonymity of the internet and offers every single client, regardless of how big or small a purchase, a comprehensive education from a specialist. Operating since 1986, I.D. Jewelry’s robust professionalism has earned them an A+ accreditation from the Better Business Bureau and membership in the World Federation of Diamond Bursars. For those perhaps less interested in the exact understanding, said specialists will ask a series of questions, aimed at understanding truly what the perfect diamond for each customer is. There is no pressure applied on getting something beyond one’s desire, simply knowing one’s options. 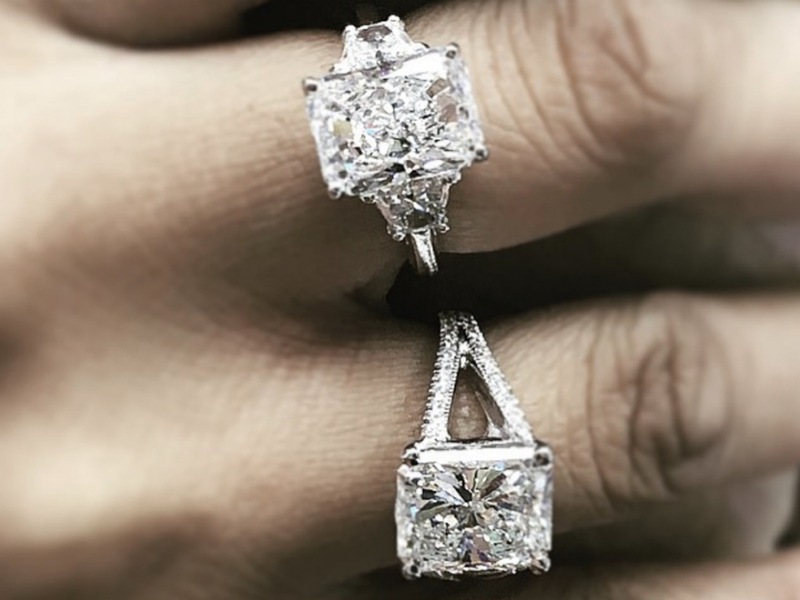 Additionally, this fine diamond luxury jewelry brand makes it incredible easy for a shopper to customize their own piece to fit any situation. I.D. Jewelry has brought familiarity back to the diamond market. And as a stamp of confidence in their products, I.D. offers a 30-day money back guarantee on all certified diamonds. I.D. Jewelry combines the convenience of making online purchases with the reliability and genuine understanding that comes with talking with a qualified expert, all while offering affordable prices. To start your search for the perfect diamond, visit idjewelry.com.